Turning Vision Into Action: Telling You Where to Go! In Search of a Growth Mindset! Telling You Where to Go! In Search of a Growth Mindset! Carol Dweck, author of Mindset: The New Psychology of Success (2007), summarizes her decades of research around two distinct mindsets of response to failure. 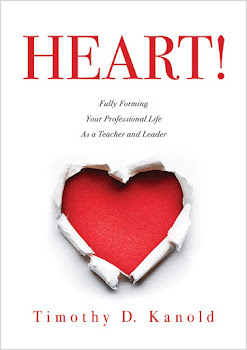 Teachers with a growth mindset believe their “talents, aptitudes, interests, and temperament can change and grow over time” (p. 7). Growth-mindset adults embrace collaborative team challenges and failure as an opportunity to improve. In contrast, adults with a fixed mindset believe the qualities of talent, aptitude, interests, and temperament are “carved in stone” (p. 6). These teachers see every failure as an indictment of their worthiness. However, if you have “the passion for stretching yourself and sticking to it, even (or especially) when it is not going well, it is a hallmark of the growth mindset” (p. 7). And that is where you, and I, need to go. To resources and places that stretch us beyond our current knowledge and understanding. Only then will you close the gap on the implementation of the content, instruction, assessment, and the intervention that will help every student successfully prepare for his or her college or career future. 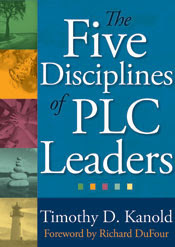 To help you on your leadership and learning journey toward the Common Core, I enclose in this blog a listing of some highlighted resources from our 5 book Common Core in a PLC at Work Series that will be released in late April. My thanks to co-authors Jon Wray and Mona Toncheff for their work on this resource - a list that can both embrace and serve your growth mindset. This portion of the Inside Mathematics website is designed to support school-based administrators and district mathematics supervisors who have the responsibility for establishing the structure and vision for the work of grade-level and cross-grade-level learning teams. This site provides classroom videos and lesson samples designed to illustrate the Mathematical Practices in action. Illuminations provides standard-based resources that improve the teaching and learning of mathematics for all students. These materials illuminate the vision for school mathematics set forth in Principles and Standards for School Mathematics, Curriculum Focal Points for Prekindergarten through Grade 8 Mathematics, and Focus in High School Mathematics: Reasoning and Sense Making. Follow Bill McCallum’s blog on tools that are being developed to support the implementation of the CCSS. The CCSS Mathematics Curriculum Analysis Project provides a set of tools to assist K–12 textbook selection committees, school administrators, and teachers in the analysis and selection of curriculum materials that support implementation of the CCSS for mathematics. The main goal for this project is to provide guidance to states, assessment consortia, testing companies, and curriculum developers by illustrating the range and types of mathematical work that students will experience in implementing the Common Core State Standards for mathematics. The CCSS in mathematics were built on progressions: narrative documents describing the progression of a topic across a number of grade levels, informed both by research on children's cognitive development and by the logical structure of mathematics. The progressions detail why standards are sequenced the way they are, point out cognitive difficulties and provide pedagogical solutions, and provide more detail on particularly difficult areas of mathematics. The progressions documents found here are useful in teacher preparation and professional development, organizing curriculum, and provide a link between mathematics education research and the standards. For the AIU Group that attended our seminar today, check out the other blog entries I have written on assessment, and look for a complete electronic file of artifacts given to the AIU Math and Science collaborative. Thanks for writing this. I've been reflecting a lot lately on wanting to continue to be a teacher who is reflective and open to professional growth. I've always worried that would fade the longer I was in the profession but have met many great seasoned teachers who still hold this mindset and that has been encouraging.